A GOP congressman is introducing a bill called The BLAKE Act, with the sole purpose of stopping members of Congress from misusing their offices and its resources. Rep. Mark Walker plans to bring on the legislation, Wednesday, that will save the US from seeing any more members of Congress taking up the work, money and opportunity that comes with a life in lobbying members of the House or Senate. The bill is named for Blake Farenthold, the GOP congressman who used taxpayer dollars to settle a sexual misconduct claim, and then broke a pledge to return the money. The bill would effectively block US lawmakers from getting into lobbying post-politics if they have paid off sexual harassment accusations with taxpayer funds without repaying the debts. Rep. Mark Walker, who serves the 6th Congressional District in North Carolina, plans to bring on the legislation, Wednesday. It’s expected to save the US from seeing any more former members of Congress taking up congressional lobbying, if they have not paid back taxpayer money used to settle sexual harassment settlements. The legislation to be introduced on Wednesday will reportedly be called The Bad Lawmakers Accountability and Key Emends or, or the BLAKE Act, named after the former Texas congressman. 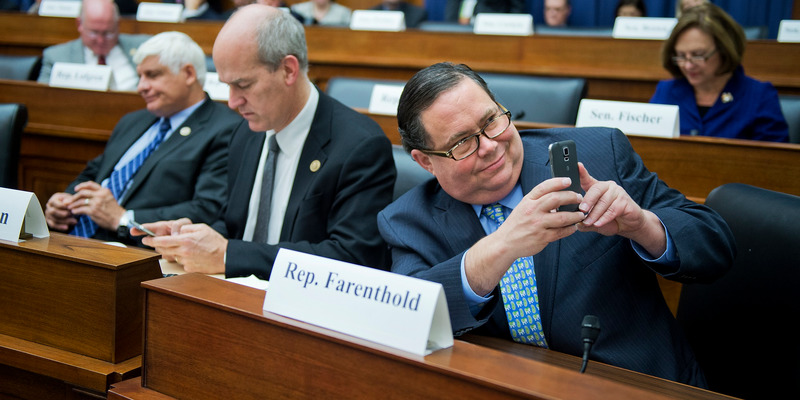 In 2017, Farenthold promised to repay the almost $90,000 of taxpayer dollars used to settle the claim brought by his former communications director. Farenthold subsequently broke his pledge — to literally return by hand the money to then Speaker Paul Ryan — before quitting politics and taking up lobbying. “I’m going to hand a check over this week to probably Speaker Ryan, or somebody, and say ‘look, here’s the amount of my settlement, give it back to the taxpayers,'” Farenthold told a local NBC News affiliate in April 2017. In December 2018, the Senate passed a bill that streamlines the harassment claims process and stops settlements from being paid for by taxpayer dollars.